A children's book about teamwork. Everyone plays a part in racing. 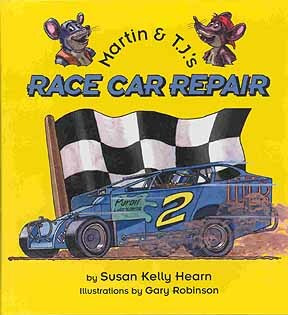 Martin and T.J. are two mice in a race shop that knows what's wrong with a race car. They secretly repair the car but find themselves stowaways in the race car headed to the race track. Young children will love this book.